If you’re looking for the most reliable name in the porch lift industry, look no further than Nationwide Lifts! We are happy to be the most innovative company on the market, offering only the best porch lifts for sale online and through our extensive 26-page free catalog. If you need help deciding what to buy, don’t fret: Our representatives are standing by to help you choose the perfect porch lift for your home! It’s important to make homes more accessible to the elderly, and installing a vertical platform lift can be a great help to older residents who have issues with mobility. According to the University of California’s Disability Statistics Center, about half of wheelchair users must navigate steps to enter and exit their homes. Our wheelchair lifts are the perfect way to help seniors stay in their own homes by easily making their homes accessible to wheelchairs. The purchase of a vertical platform lift can prevent someone having to move somewhere without stairs or not being able to use parts of their home. 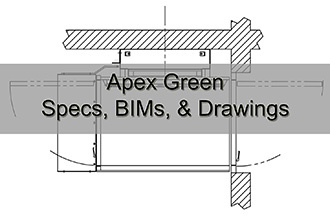 The Apex Green wheelchair lift is often used to lift someone up to a porch or a house entrance in a garage. When the vertical rise is less than 6 feet, it is not required to be in an enclosed shaft. The platform will have a safety sensor underneath to stop the lift if there is an obstruction. The upper landing will require a gate with an interlock to prevent a fall hazard. This unit works well outdoors. Installing porch lifts for porches, decks, or garages is an excellent way to avoid the hassle of building an entire ramp system outside of the house. Our lifts are an easy way to make any home wheelchair-accessible and convenient for everyone! We are proud to offer a wide network of offices and affiliates all over the country, so we’re sure to have a representative near you. If you would like a free quote or have questions about which product to buy, just give us a call or contact us online: We’re here to help!